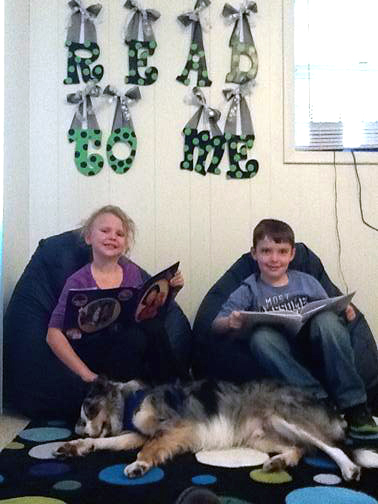 Students and teachers at South Side School (AR) campus have created a Mutt-i-grees® Reading Room! Second grade students come once a week to read to Tripp, the school’s resident teaching Mutt-i-gree®. Students are so excited to get one-on-one time with Tripp and look forward to reading to him. The school also uses their Mutt-i-grees® Reading Room to keep Mutt-i-grees® recommended titles, Mutt-i-grees® artwork, and Mutt-i-grees® puppet (when he is not working hard in the classroom). South Side also uses this area as a small group activities room for Mutt-i-grees® and a waiting room for students and parents. Tripp is always eager to greet parents at the door! 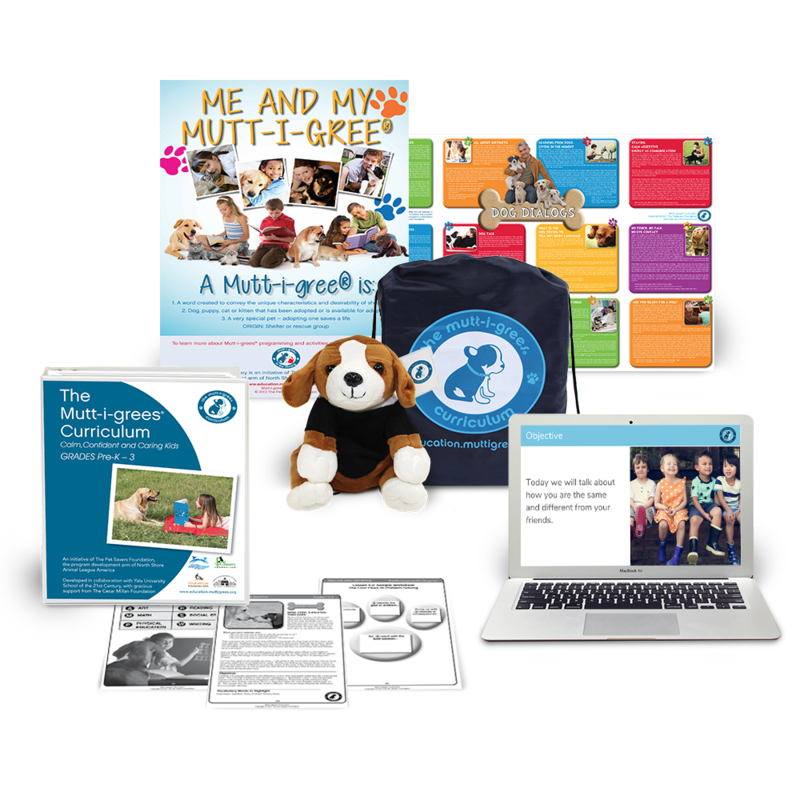 Get 15% off Muttigrees at Home, Plush Cat Puppet, Plush Dog Puppet, and Backpacks when you order this Curriculum Kit.